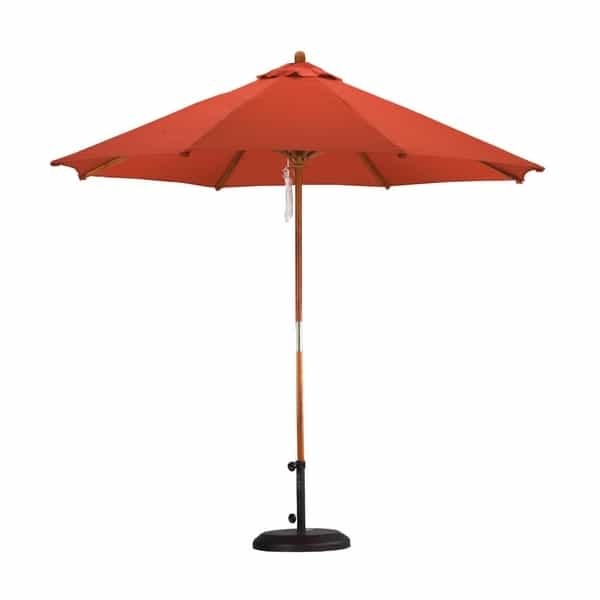 Are you searching for an umbrella to keep out the sun and rain that offers a vintage appeal but find yourself unsatisfied with the standard metal Umbrellas? The 9' Wood Pulley Market Umbrella from Leisure Select showcases an authentic, antique feel with a beautiful wood pole and genuine pulley system that's easy to operate. And don't forget to choose the perfect color for your outdoor space by browsing the through the fabric colors available in the drop down menu on the right hand side of this page.